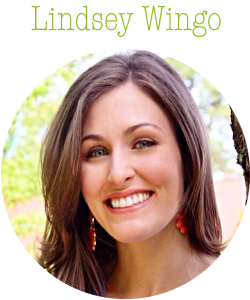 Since Missional Motherhood was launched a year and a half ago (wow! ), our contributors have shared many wonderful tools available to begin discipling your children at home. As missional mothers we desire to intentionally point our children to Christ, but sometimes the task seems daunting. In case you have missed some of the resource recommendations along the way, we’ve decided to create a post that showcases them all in one place. Now, the point of this is not to provide you with a list of to-dos that will overwhelm you before you even start! But if you are struggling with ideas or aren’t sure where to begin, we hope this will be a helpful resource. My husband and I just recently added a third child to our already wild and crazy crew. So now, more than ever, I am seeking easy ways to intentionally train my children as we go about our day. I am also the type who gets easily overwhelmed with super structured or involved activities. (I know I’m not alone!) Because of this, I’ve found a few ways to naturally incorporate some of these tools into our day. 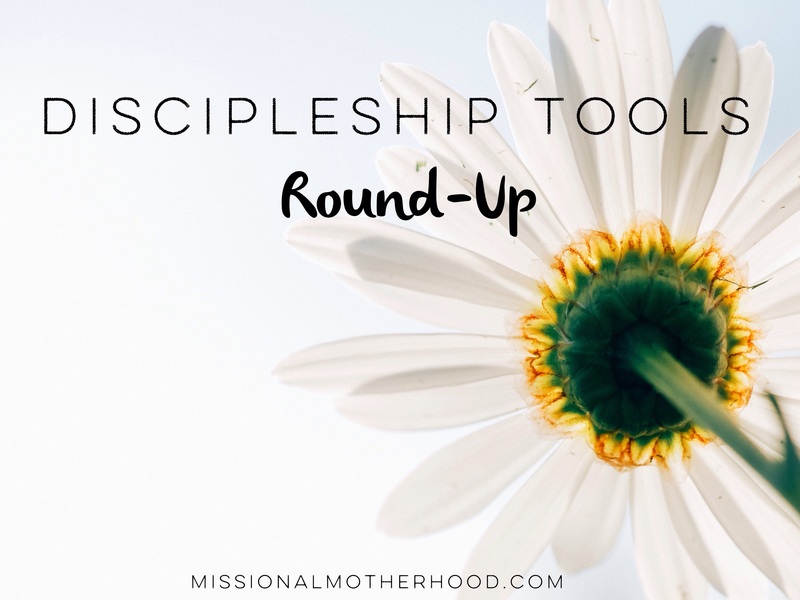 I know the way we approach discipleship in our home will change as our children grow, but as a mother of preschoolers, I’d like to share a few things that have helped us become more intentional as well as a list of many resources that have been mentioned on our blog to help get you started. Our older two children attend preschool twice a week. Preschool mornings are much more structured at our house than typical mornings. Because we are up getting dressed and having breakfast together on these mornings, I have found that breakfast is a great time to read a devotional, practice scripture memory, or read a bible story with my girls. It usually only takes 15 minutes or so, but this has become a fairly regular part of our preschool morning routine. (I say “fairly” because our now three-week-old has thrown off any and all routines at the moment 😉 ) Some days of the week we use lunch time or dinner time when my husband can also join in with us. This doesn’t happen every day in our home, but we do manage to incorporate it during several meal times throughout the week. Car rides are a great natural down time to have intentional conversations, practice scripture memory, pray as a family, etc. Our four-year-old is in Awanas at our church. She received a CD with her scripture memory book that allows her to follow along in her book as she listens to the stories and practices her scripture verse for the week. So that is one way we are utilizing car time currently to make the most of our time together. Bed time seems to be a natural time for many families to settle down for the night while having sweet conversations, spending time in prayer, talking about the day, reading the Bible together, etc. Some nights our family piles into one bed all together for this special time. Other nights, my husband and I split up and each take one child for some special one on one time. As tired as we are at the end of the day, the time spent with our children just before bed has become priceless! Do you have other ideas for natural times to incorporate discipleship in the home? Please share below! It is my prayer that discipleship would not be a burden for us as mothers, but that it would become a natural part of our lives as we seek to train up our children in order to send them out on mission. I know this doesn’t happen perfectly in my home, so I am thankful for God’s grace to cover my imperfections and weaknesses along the way! The Jesus Storybook Bible – Sally Lloyd Jones. The Child’s Story Bible – Catherine Vos. ABC Jesus Loves Me – This site has free preschool curriculum, including Bible study curriculum. You’ll find great resources and ideas to use with your little ones. An example of this is their free, preschool memory verse cards available to print right at home! Hide ‘Em in Your Heart – Steve Green’s scriptural music for children. Seeds Family Worship – Scripture set to fun and engaging music. www.torchlighters.org is a great resource for DVD’s of Heroes of the Faith. www.ywampublishing.com is a wonderful resource for young reader books as well as listening CD’s on Heroes of the Faith. Bible Story Coloring Pages book by Gospel Light – Color through the Bible with your kids and read coordinating scripture along the way. Fighter Verse App – Scripture memory app for the whole family. Navigators Topical Memory System – A scripture memory system that is easy to use. Printable Alphabet Scripture Memory Cards – Two great examples found here and here. Operation World – Operation World, the definitive global prayer handbook, has been used by more than a million Christians to pray for the nations. Experiencing God – Henry Blackaby (great for older kids or personal use and is available in book or audio form). The Truth Project – “Focus on the Family’s The Truth Project is a powerful Christian worldview curriculum specifically designed and licensed for use in home-based small groups.” This is great to use with older kids as well in order to teach them why we believe what we believe! If you don’t want to purchase a set of your own, check a local church library for availability. Growing in Prayer: A Girl’s Journal to Learning How to Pray – by Tara Furman. This resource is good to use with your daughters! The Jesse Tree – A great discipleship tool during the Advent season! Right Now Media – Find out if your church has a subscription to Right Now Media. If so, create an account and explore all of the free resources you can use with your family!